Volcanoes can be monstrous. They are unforgiving and, most terrifying of all, unpredictable. But, as disastrous as they may be, they help create the most breathtaking landscapes. Such is the beginning of Fuencaliente de La Palma, shaped by volcanic eruptions and perfected by nature that has made it majestic and magnificent. Fuencaliente de La Palma is 56.42 km² of natural and human-made spectacles. It has a gentle volcanic ridge with trails to its divine mountains and craters. Furthermore, its fertile soil grows one of the best grapes and bananas in the archipelago. Equally spectacular are its coasts of cliffs and black sand beaches. 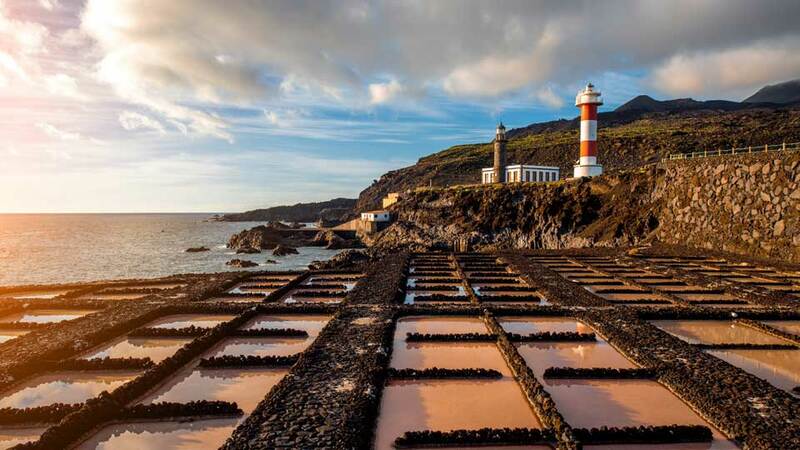 Also found here are salt ponds and lighthouses that overlook the vast Atlantic. There are no pubs or clubs. No noise or smoke. Here, there are only happy travelers partying with nature and enjoying its finest creations. Like the other Canary Islands, Guanche natives were the first inhabitants of La Palma. The territory of what is now Fuencaliente was called Ahenguareme then. Here, they thrived in its abundant natural resources and fertile soil. By 1492, the Spanish conquest of the Canaries landed on the shores of La Palma. As expected, the Guanches stood their ground, and bloodbaths soon followed. Although superior, the conquistadors didn’t have it easy. In fact, a good number of them died for the cause and the crown. In the end, as brave as the natives were, their courageousness failed to secure a victory. By 1493, barely a year since it started, the invasion ended after the last of the chiefs was ambushed and captured. It is unknown when Ahenguareme became Fuencaliente, which in Spanish means “hot spring.” What is certain is that the name originated from a spring near Playa de Echentive called Fuente Santa. Unfortunately, a lava flow completely wiped it out in the 18th Century. Fuencaliente is the perfect place to get close to nature. It has the most mesmerizing landscapes with an excellent network of hiking trails. That’s 1,000 km of aptly-marked tracks with fantastic views of the coasts, villages, and mountains. If that isn’t excellent, then nothing is and will ever be. If travelers want to go seaside, stunning views also await them. Nothing is more dramatic than the harsh Atlantic waves crashing against the cliffs. Salt ponds like pans of snow on a rugged coastal terrain are quite an unusual sight. Should visitors want to unwind and play by the waters, the southern paradise has one or two to offer. 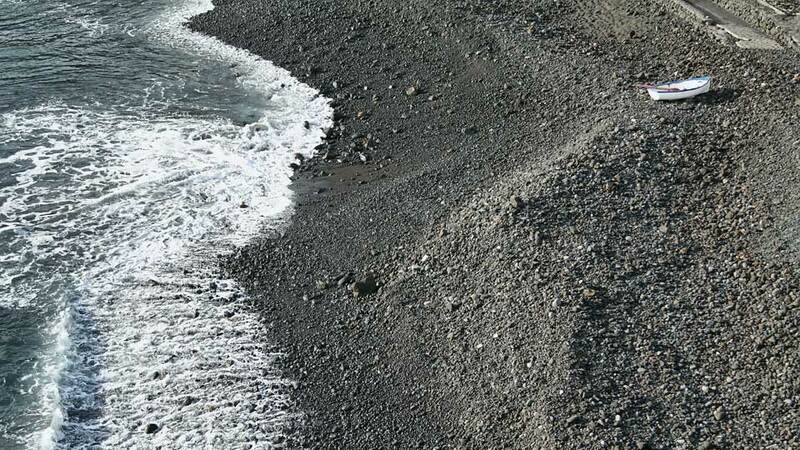 Its black volcanic sand beaches are as stunning as it is peaceful. It’ll be hard for anyone to find a more relaxing place than Fuencaliente, and perhaps there isn’t. La Palma is an island from a volcano and of many volcanoes. In fact, it has had seven eruptions since the Spanish occupation, and that’s a lot for such a small island. Travelers have nothing to fear though. The volcanoes are dormant hence excursions to the most exalted trails and views on the island is safe. The Cumbre Vieja National Park and its 120 volcanoes is a hiking haven. It houses the famous and interesting “Route of the Inaccessible Volcanoes.” Although the name says it is inaccessible, it is but only by foot. Through this route, hikers can see the remarkable landscapes of La Palma and the neighboring islands. The starting point is the Volcán San Antonio Visitor Centre. Here, visitors must pay the €5 entrance fee which already covers the walk to the crater. Before hikers get to exercise their legs, they can power up with a delicious espresso in the cafeteria for only €1. For a quick warm up, trekkers can walk around to see the displays and the short film about the volcanoes around the world. Energized by coffee and equipped with the right information is a sure way for visitors to appreciate the trek more. The hike along the Caldera Rim and around the Volcán San Antonio crater is quite easy but can be a bit rocky. Leisure walkers don’t have to worry though as long as they have a suitable footwear. For a more challenging and exciting trail, they can continue the trek to Volcán Teneguía. They may also take the gentle slope down to Fuencaliente Lighthouse where the views are just as rewarding. For fit hikers, they can take a reversed route and start at the lighthouse. The hike, whichever course visitors choose, is a rewarding experience. The craters are astounding and serene. It’s hard to imagine such beauties can cause destruction. The black volcanic soil brings out the beautiful contrasting hues of the flora. Even the landscape look even more impressive with the blue sea in the background. And those are only a few of the reasons why Fuencaliente de La Palma is such a well-known hiking destination. The Fuencaliente Lighthouses are buildings fit for a romantic novel. Both the old and new lighthouses offer fantastic views of the salt ponds, the coast, and the Atlantic. There’s also a small harbor with fishing boats that add undeniable charm to the already picture perfect lighthouses. The 12m high old tower was opened in 1903 and is the smaller of the two. Although damaged by the 1939 earthquake, it was rebuilt to its former magnificence after. And to get it tourist-ready, it was also renovated between 2001 and 2004. The old faro isn’t only beautiful though, it is also educational and is for a great cause. In 2006, the building affixed to it was opened as a museum for the island’s marine reserve. Hanging on its ceiling is a full-scale bronze dolphin sculpture caught in a fishing net. This thought-provoking art piece promotes respect and understanding of the marine life. Furthermore, it also houses a volcanic cave replica where visitors can stand on a glass floor. The newer faro, opened in 1985, stands 24m high and can be seen as far as 14 nautical miles. While the old one boasts quaint allure, the new one gives a fresh look to a rather colorless picture. They look contrasting, but they are somehow in complete harmony. Together they even rival the beauty of the Atlantic. 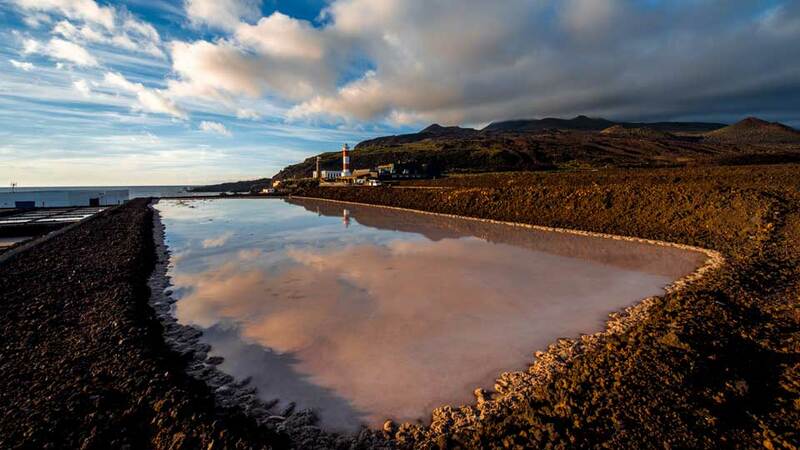 Also by the coast and next to the Fuencaliente Lighthouses is the salt evaporation ponds. Some wonder why the Salinas de Fuencaliente is even considered a tourist attraction. Well, it is. In fact, when in the south of La Palma, it is one of the most visited spots. It is not because of the salt ponds alone. Rather, it is the combination of everything that makes it enjoyable and worthwhile. White salt ponds juxtaposed with the black volcanic sand and the dazzling blue sea is mesmerizing. While its smooth surface also complements that of the rugged cliff. Imagine sipping local wine while admiring the grandeur of nature. Simply, it is majestic. Wine tasting in Fuencaliente is more exciting yet still very relaxing. Bodegas Teneguia has been making excellent wines for 70 years. Locals and tourists rave about their wines, most notably, the sweet Malvasia wines. What makes their wines so exceptional? Well, they use a variety of grapes, seven different types for the ten kinds of wine at the last count. And all are locally grown in the fertile volcanic soils of Fuencaliente de La Palma. The guided tour breaks preconceptions about winery tours and winemaking in general. It’s not all talk about the fermentation process and then some wine tasting. 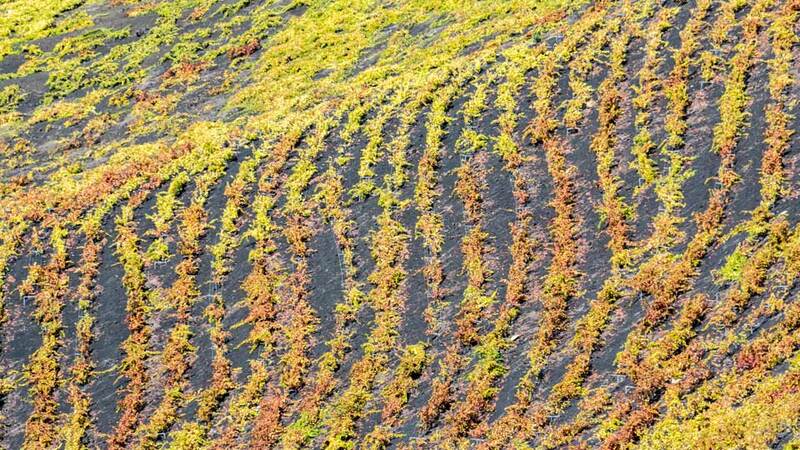 Here, guests learn and taste the many centuries of La Palma’s vineyard tradition. Not to mention the seven decades of quality winemaking that makes it the best winery in the Canaries. With rich history and tradition sealed in every bottle of wines, every drop and sip of wine from Bodegas Teneguia is exceptionally remarkable. Fuencaliente de La Palma is not known for its beaches. However, it does have a few fabulous ones that travelers have come to love. Best of all, they are never too crowded. Playa La Zamora is a small black sand cove surrounded by rugged cliffs. Here, even families with kids can enjoy as waves are almost always calm. The small rocks sprinkled near the bay are also a sight to see. For a natural pool with views of the Fuencaliente mountains, Playa de Las Cabras is an excellent choice. Meanwhile, Punta Largo beach is another option for fun in the waters and mixing with the locals. The view of the colorful boats by the seaside is also scenic. From Santa Cruz de La Palma, tourists can take TILP (Transportes Insular La Palma) bus line 201 to Fuencaliente. On weekdays, the bus departs at 07:15, 09:15, 11:15, 13:00, 14:15, 15:15, 17:15, 19:15 and 21:15. On Saturdays, Sundays and holidays: 09:15, 13:00, 17:15 and 21:15. From Santa Cruz, there are 14 stops before reaching Fuencaliente. Many tourists also prefer to hire a car as it’s cheap and they can go around the island at their own pace. A lot of car hire companies are near the airport and in the busy towns. As for taxis, visit https://www.taxilapalma.com/en/ to book or check the rates. The most popular way to go around Fuencaliente de La Palma is to walk. It is a hiking and walking haven, so that’s not a shocker. For those who prefer to take a ride, a local bus goes to famous tourist spots every two hours. At the moment, there’s only one hotel in the whole of Fuencaliente de La Palma. No need to fret or rethink the vacation though. There are plenty of other accommodations to please every lodging needs. What’s more amazing is that most offer panoramic views of the sea, the mountains, or even both. 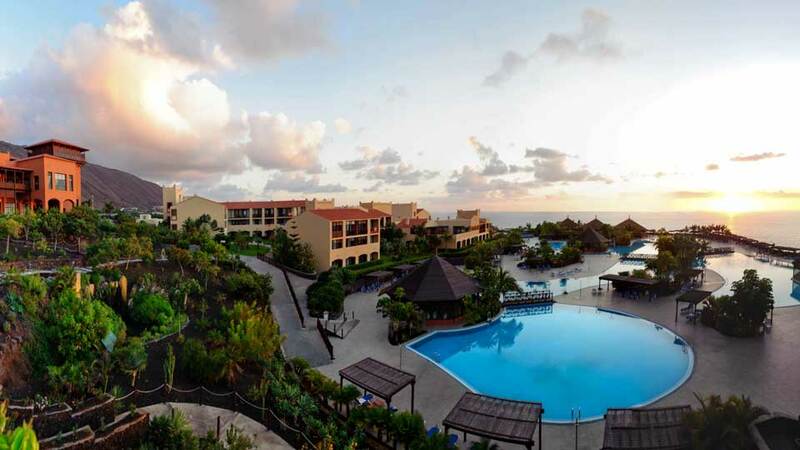 La Palma & Teneguia Princess Resort is the sole hotel in Fuencaliente de La Palma. The whole property, one of the best on the island, boasts astonishing sights of the sea and the volcanoes. Even the hotel itself is majestic. Take a dip in their magnificent swimming pools and bask in the sun. Dine and enjoy the food in their restaurant that overlooks the expansive Atlantic. And, after the long trek, go ahead and visit the spa for some relaxation and pampering. Their other amenities include an on-site gym and an elegant bar. Casa El Mirador stands on a mountain slope and, as the name suggests, has a viewing point. Not only that, but there’s also a garden and a sun terrace where guests can lavish more amazing sceneries. No wonder guests love this place, and it is particularly popular with couples. The property is of traditional Canarian architecture. It has volcanic rock walls and clay brick roofs while the terraces have wooden beams and pillars. All their units also have fully equipped kitchen, and some even have a patio. Truly, it is a classic looking casa complete with modern comforts overlooking paradise. With Atlantic and the island volcanoes gracing its balconies, guests cannot help but fall in love with Apartamentos Villa Colon. The complex also houses a swimming pool for guests to dip in and swim. Each of the units here has a fully functioning kitchen which means guests can cook and eat what and when they want to. They can also chill in their living room or hire a car if they want to go out. Apartamentos Villa Colon is truly a home away from home. Casa Clara is a mountainside country house with an incredible vista and a beautiful garden. Guests can relax on the sun terrace amidst the sparkling blue sea and even Tenerife. A fully equipped kitchenette also makes guests feel right at home. Tourists, most especially couples, recommend this cozy casa and it’s not hard to see why. 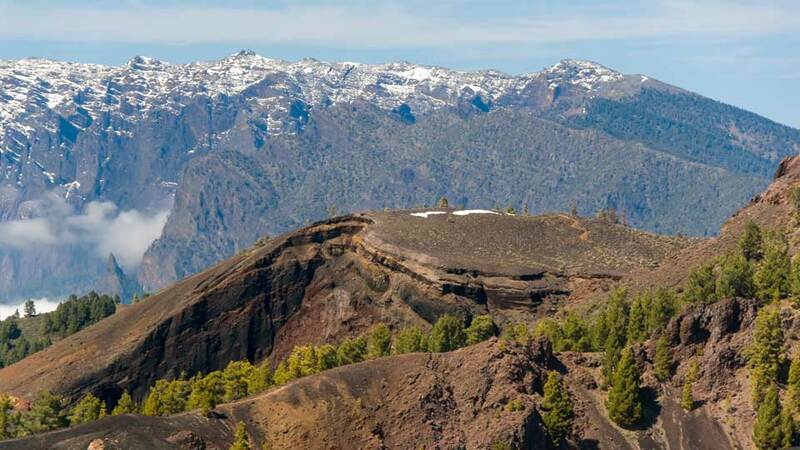 Fuencaliente de La Palma has plenty of natural wonders to see and trails to trek. And with so much walking and sightseeing, tourists are bound to get hungry, very hungry. Fear not though. This municipality knows what visitors need to have a great vacation. So, whichever tourist spot they visit, good food is not far away. The lovely El Jardin de la Sal Restaurant offers excellent local dishes and beautiful sights to see. And it doesn’t mean just one interesting place in different angles. Here, guests can dine while appreciating the view of the salt ponds, the sea, and the lighthouses. It’s no surprise the place is always packed. This restaurant is particularly famous for their seafood dishes like langostinas in salt, grilled king prawns, calamares, and fish croquettes. The other must-try is their salted potatoes with local cheese, different sauces, and all of their pasta. Complete the dining experience with their delicious orange sorbet with salt flakes paired with doppio. Superb views, service, and food? El Jardin de la Sal Restaurant got it covered. The Kiosco la Zamora supplies the Playa la Zamora beachgoers delectable local dishes. It sits on a plateau that surrounds the charming cove with an enchanting view of the Atlantic, the rugged cliffs, and the mountains behind it. Enjoy pan-fried baby squid, tapas, garlic prawns, yellowfin tuna or bread with mojo and aioli while watching the waves crash on the rocky coast. Their “fish of the day” also never fails to make the diners’ day, so that’s also a must-try. In this simple restaurant, everything goes well with cold beer. Hot and tasty pizza after a tiring, but invigorating hike? Cantina del Gladiatore Restaurant serves the best pizza in the south. No question about that. They also have sumptuous pasta as any great Italian restaurant should. And if one is looking for a light meal before the trek, then try their coffee and any of the selection of cakes. The La Casa del Volcan Restaurant is the most popular restaurant in Fuencaliente de La Palma. And rightfully so. Guests love that they can enjoy local cuisine while marveling at Volcan San Antonio. Their most popular dishes are the tapas, braised rabbit, slow-cooked goat in mojo sauce with Canarian salt potatoes, and parrot fish. Pairing anything on their menu with local wine is a divine experience. Also, never forget to finish with the gofio mousse for dessert. Fuencaliente is synonymous to volcanoes. It is a fact that the municipality has a lot and they are breathtaking. The gem of the south has more to offer than volcanoes though. In its lovely terrain is the abundant flora that looks even more colorful because of the black volcanic soil. The rocky coast sits mighty against that immense Atlantic Ocean. 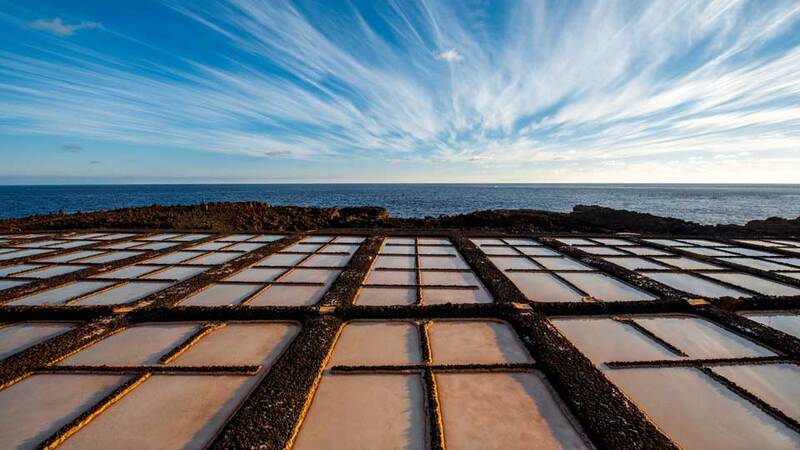 How about the salt ponds? They most definitely complement the view of the horizon. As for the picturesque lighthouses, they are a reminder of the island’s rich history. 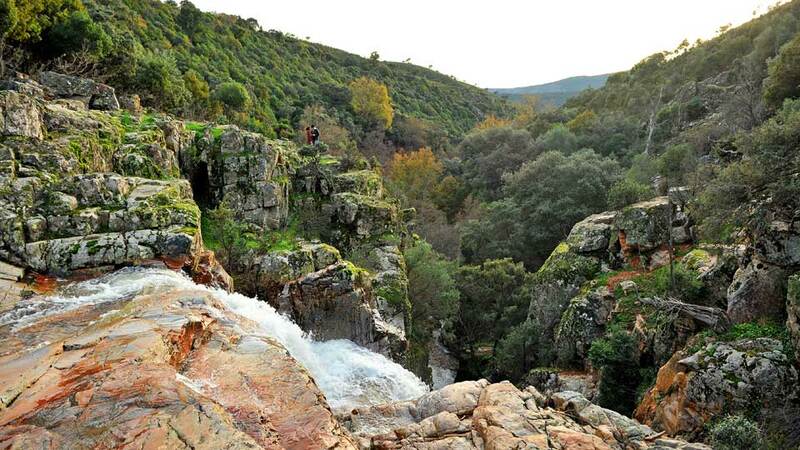 Also, never miss the hiking trails, they are the best in the whole Canary archipelago. Famished from all sightseeing? The food in Fuencaliente de La Palma is always cooked to perfection and served warm. As for the locals, they are friendly, hospitable, and always make everyone feel at home. So, when anyone says things are “going south,” that’s not so bad at all. In La Palma, south is the place to go.